*Gen2 robot is not supported. 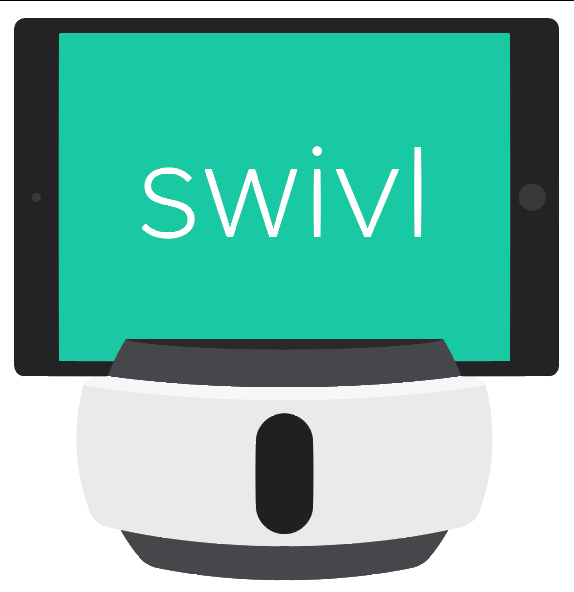 Swivl App: iOS version 7.6.1 OR Android version 5.0.4. 2. With your Swivl C-Series robot and device still connected, place the Distance Audio icon on your Capture screen for easy access by enabling "Distance Audio" from the "Capture Screen Buttons" section in the Settings Menu (you will only need to do this once). 3. Now that the Distance Audio icon is placed on your capture screen, you just need to tap it every time you wish to start streaming with Zoom. 4. Note: the Swivl app must always be opened first and it must remain running in the background. When Swivl is in Distance Audio mode, the audio from all the markers are merged together and synced with the video (if you are streaming video). This means that the remote person(s) on the other end can hear the audio from all the markers at the same time. The person using Swivl can hear a remote person’s voice in two ways. 2. By connecting a USB speaker to the Swivl base for group conversations, e.g. USB speaker. Bluetooth speaker won't work unfortunately. Tracking of the Swivl base can be paused by pressing the center button on the primary marker even while using Zoom. Swivl Live is a feature that enables you to minimize the Swivl app, open a 3rd party app, and continue to use Swivl tracking and Marker audio, but it does not record video through the Swivl App. If you would like to record while streaming you need to start your Zoom session from a laptop because only the web version of Zoom allows for recording of a session.The Swivl app will stream your video no matter whether you start or join Zoom session. After recording you Live stream session via Zoom, you can upload your recorded video file (mp4) to Swivl Cloud by downloading the video from Zoom.us to your desktop and then uploading via your cloud.swivl.com account. Switching back to Classroom Audio mode for Zoom will be done automatically so the next time you press the record button after connecting your Swivl robot to your mobile device will automatically put Swivl back in traditional recording mode. Swivl Live has been tested to be compatible for two-way video calling via the Zoom app, but we cannot guarantee that Adobe Connect, Skype, or Google Hangouts or other apps will function optimally in this configuration. Swivl Live has been tested to be compatible for one-way video streaming to: Youtube Live & Facebook Live. If you connect to AppleTV BEFORE opening the Zoom application, the audio won’t work. Apple hijacks the audio stream; however, if you connect to AppleTV AFTER connecting to the Zoom session, it is OK. Therefore, make sure you setup Swivl in Distance Audio Mode and join your Zoom session first, and then it should be OK to mirror to AppleTV.